Forex is a well-known market all around the world. This market is a very common way to exchange currencies to each other. Usually it is the best way to exchange money between countries through this market. Large amounts of money is transferred daily in Forex which makes it swing. Also, lots of big transfers between companies happen in this market because of its easy access. Beside this great benefit of Forex it also is a good place for making money online, for example Forex Fury. It used to be traditional some years ago but it changed to an online business rapidly because of its great impact in transactions. There are lots of platforms which offers people the ability to track the market through their computers without paying anything. The platforms are fast which give you different options to make your analysis easier and quicker. They can also be installed on your mobile phone that gives the opportunity to track the market every minute even if you do not have access to the computer at the moment. Rapid progress in Forex market and lots of online solutions for handling it makes it very good resource for gaining money. It can be a large amount of money if you try to devote lots of your time to it or it can be smaller denotations if you only follow it in your free times for instance after your job. What I like to do is trade while I work by using automated robots, that are ranked at Forex Robot Nation. 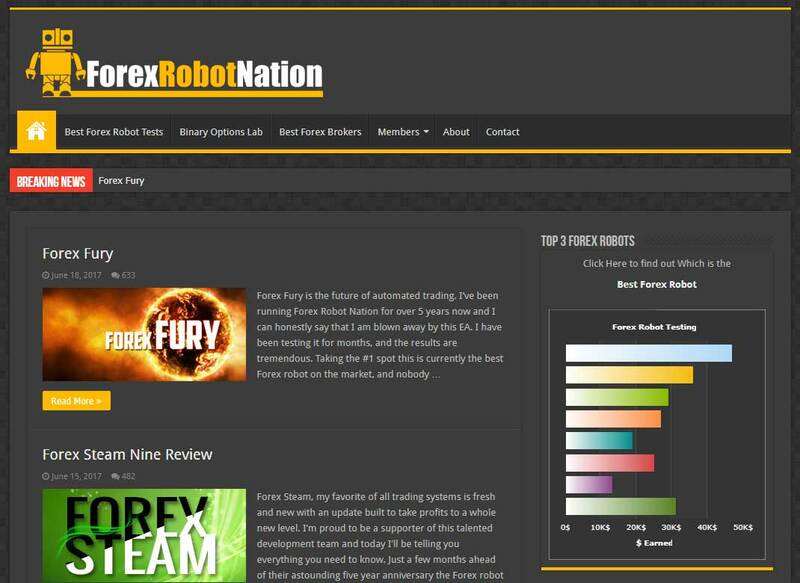 This of course consists of both Forex Fury and Forex Steam as the current top rated systems by the FRN community. But something that is very important in this market is sticking to it and trying to learn it. Lots of people think this is just clicking on buy or sell in the platform and then money comes to their account quickly and progressively. But I can tell you, that this not what happens in Forex market. Just think about it, if it was so simple why wouldn’t everyone do it? Why wouldn’t every large corporation invest in this market? Maybe your answer is that because we are different and clever, but that isn’t the case. The answer is that there are both winners and losers in Forex. The fact that makes you different in Forex is your patience in learning and practicing the style you chose. There are different traders all around the world which actively work in this market. Some of them work for larger companies and some others work for themselves. Working with a company and learning from pioneers in this market probably would help to increase your skills rapidly although it may not give you the profit you can make on your own. But every individual should mention that this is not an easy way to go alone as lots of people, even more than 90 percent lose their money when they are entering this market. Thais happens because the market is not a thing which can be learned only through Forex. 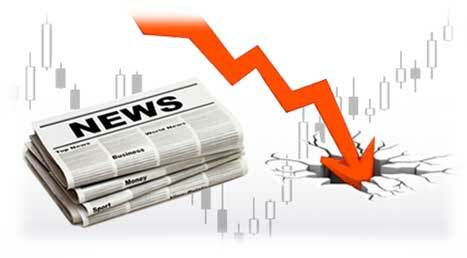 News has the most important impact on this market as news can even change the trend of the market for several months. For example some disasters happen in one country which causes its currency value to drop suddenly. This will cause a great profit for those who sold this currency and a great loss for those who bought it. Maybe you think it is a good way to earn money but again you are wrong. If it was easy everyone would follow this market without any doubt. Forex Fury takes advantage of the news by using a built in news filter. The fact which is important to know is that usually news is released to regular people when it is too late. At this point, when regular people hear the news, the trades are less obvious, and riskier. The fact which helps you to succeed in this challenging market is to think like big traders in this market. Big traders are different companies like banks or big well-known financiers. People lose their money because usually they act opposite this strong direction. You would be successful if you can predict what they want to do and this happens by following the news with short periods. It is really necessary to have good Forex knowledge to learn the basics about this market. For this, I rely heavily on Forex Robot Nation. Basics can include how to setup the market platform on your computer to placing your orders and defining their profits and losses. Yet, the element that is really important in Forex is being patient and avoid being greedy. 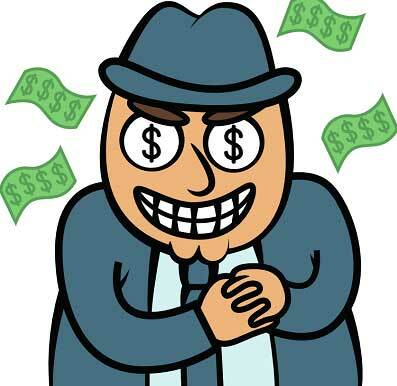 Greed is something which will destroy anyone who is working for it especially in this market. You should choose the style fits you more and stick to it to get quite experienced. You do not have to follow other’s styles. You can make your own style and gain lots of money if you practice a lot and correct it through the time. As a final advice I just want to insist: do not be hasty in making money, devote lots of time on demo accounts and when you got satisfied with it try for real. 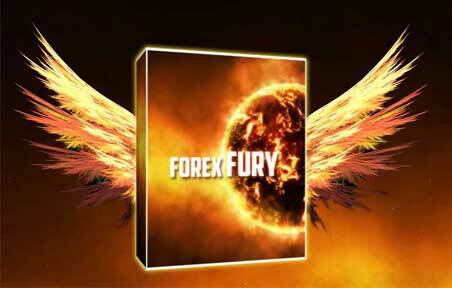 Is their a PDF file on Forex Fury on why and how it trades ?? Sorry Mark, we do not have this. Maybe in the future. SO its only trading for 1 hour …. right ? It opens trades during 1 hour, those trades can go on beyond that hour, but rarely do. Is it possible to add trail stops to extend take profit and also breakeven move of fix stop loss. My trades get delayed by a few pips for some reason. Thanks Chand, I’ll pass the message along to our development staff. I know a few of them are already interested in trailing stop as an option.